For more than 30 years the team of professionals at World Waste Recycling, previously doing business as World Waste Services, have been leaders in the waste removal industry. We are committed to providing excellent service, as well as reliable collection and disposal solutions. Our experience has taught us that our responsiveness to our customers’ needs is what continues to set us apart. Please ask us for references from our satisfied customers. World Waste Recycling is the service provider for Miami Dade County for the residential curbside recycling program. 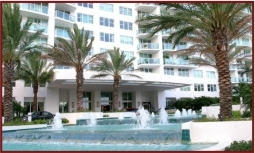 The Hamptons West is located in Aventura FL along the beautiful palm tree lined Country /club Drive. 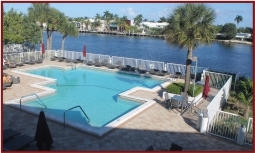 The views feature Waterfront and Intracoastal. This luxury high rise has recently been renovated from its magnificent waterfall to the newly done restaurant to the new work out and spa facilities. The Hamptons West building is enclosed with a manned security gate, and has over 340 units housed in this 26 floor building. This 3 bedroom condominium is 2080 sq ft, PLUS 613 sq fully wrap around patio. Beautiful entryway with oversize living room and kitchen as well as large bedrooms and spacious air conditioned closets. Modern tile floors throughout with full plush carpeting in each bedroom and closet. The master bathroom is something to see! The master bathroom hosts and oversize Jacuzzi tub, oversize shower and plenty of counter space in the vanity area. And let us not forget the floor to ceiling windows to enjoy the sites around from above.